The scikit-learn library is one of the most popular platforms for everyday machine learning and data science. The reason is because it is built upon Python, a fully featured programming language. 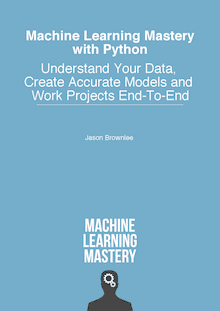 But how do you get started with machine learning with scikit-learn. Kevin Markham is a data science trainer who created a series of 9 videos that show you exactly how to get started in machine learning with scikit-learn. In this post you will discover this series of videos and exactly what is covered, step-by-step to help you decide if the material will be useful to you. Kevin Markham is a data science trainer, formally from General Assembly, the computer programming coding bootcamp. Kevin founded his own training website called Data School and share training on data science and machine learning. He is knowledgeable in machine learning and a clear presenter in the video format. In 2015 Mark collaborated with the machine learning competition website Kaggle and created a series of 9 videos and blog posts providing a gentle introduction to machine learning using scikit-learn. You can review blog posts for each video on Kaggle. There is also a YouTube playlist where you can watch all 9 of the videos one after the other. You can also access IPython notebooks with the code and presentation material used in each of the 9 videos. Next we will review the 9 videos in the series. Video 1: How Do Computers Learn From Data? In this first video, Mark points out that the focus of the series is on scikit-learn for Python programmers. It also does not assume any prior knowledge or familiarity with machine learning, but he is quick to point out that you cannot effectively use scikit-learn without knowledge of machine learning. He provides a nice image overview of the applied machine learning process. This second video is mainly a tutorial on how to use IPython notebooks (now probably superseded as Jupyter notebooks). How do I use the IPython Notebook? It provides a consistent interface for machine learning algorithms. It offers many tuning parameters for each algorithm and uses sensible defaults. It has rich functionality for tasks related to machine learning. It has an active community of developers on StackOverflow and the mailing list. Comparing scikit-learn to R, he suggests R is faster to get going for machine learning in the beginning, but that you can go deeper with scikit-learn in the long run. He also suggests that R has a statistical learning focus with an interest in model interpretability whereas scikit-learn has a machine learning focus with an interest in predictive accuracy. I would suggest that caret in R is a powerful and perhaps unrivaled tool. This video focuses on the “hello world” of machine learning, the iris flowers dataset. This includes loading the data and reviewing the data. What are scikit-learn’s four key requirements for working with data? Input and response variables must separate objects (X and y). Input and response variables must be numeric. Input and response variables must be numpy arrays (ndarray). Input and response variables must have consistent shapes (rows and columns). This video focuses on building your first machine learning model in scikit-learn. The K-Nearest Neighbors model. Import class you plan to use. Instantiate the estimator (models are estimators). Fit the model with data (train the model) by calling the .fit() function. Predict the response for new observation (out of sample) by calling the .predict() function. This video focuses on comparing machine learning models in scikit-learn. Mark points out that the goal of building a supervised machine learning models is to generalize to out of sample data, that is make accurate predictions on new data in the future. This video starts to look at ways of estimating the performance of the model using a single dataset, starting with test accuracy then looks at using a train/test split and looking at test accuracy. This video looks at a related libraries that are useful when working with scikit-learn, specifically the pandas library for loading and working with data and the seaborn library for simple and clean data visualization. This video also moves away from classification and looks at regression problems, the prediction of real valued data. Linear regression models are built and different performance metrics are reviewed for evaluating constructed models. This video dives into the standard way for evaluating the performance of a machine learning algorithm on unseen data, by using k-fold cross validation. Mark points out that using training accuracy alone will overfit the known data and the model will not generalize well. That using test data alone in a train/test split will have high variance, meaning it will be sensitive to the specifics of the train and test sets. He suggests that cross validation provides a good balance between these concerns. Cross validation is demonstrated for model selection, for tuning model parameters and for feature selection. Use repeated 10-fold cross validation to further reduce the variance of the estimated performance. Use a held-out validation dataset to confirm the estimates seen from cross validation and catch any data leakage errors. Perform all feature selection and engineering within the cross validation folds to avoid data leakage errors. This video focuses on techniques that you can use to tune the parameters of machine learning algorithms (called hyper parameters). Mark introduces cross validation for algorithm tuning, how to use grid search to try combinations of parameters and random search parameter combinations to improve efficiency. This is the final video in the series and the longest. In this video Mark covers a lot of material focusing on techniques that you can use to evaluate machine learning models on classification problems. Mark takes his time and carefully describes the confusion matrix, the details of sensitivity and specificity and ROC curves. In this post you discovered Kevin Markham’s video series titled “Introduction to Machine Learning with scikit-learn“. Mark has put together a fantastic video series that introduces you to machine learning with scikit-learn. I highly recommend watching all of it. Have you watched some or all of these videos? What did you think? Share your thoughts in the comments.